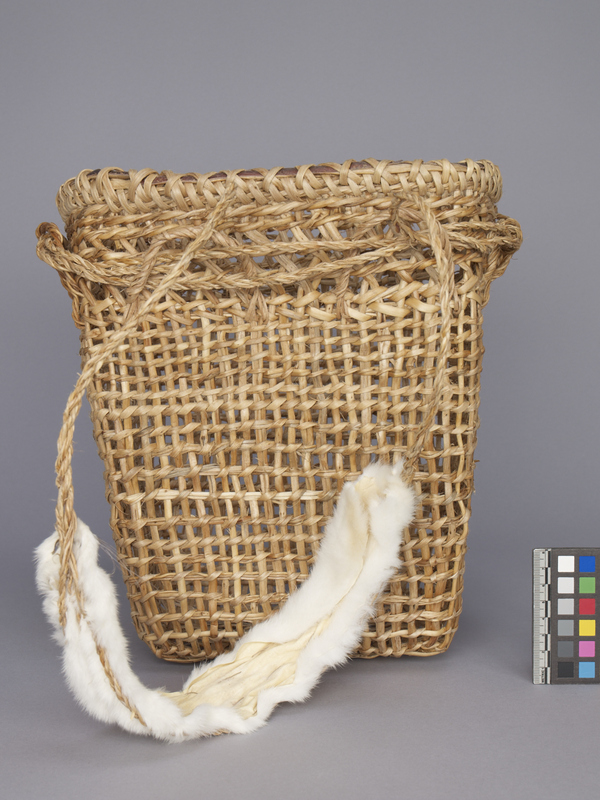 Item number 3240/1 from the MOA: University of British Columbia. Basket sampler showing four sections of different types of basket weaving. Openwork basket is tall and rectangular, with a rounded base and walls that flare slightly toward rim. Large loops are attached at the upper layer, through which are passed two tumpline ropes that serve as a handle. A skinned ermine is sewn to the handle (with its nose and whiskers still present). 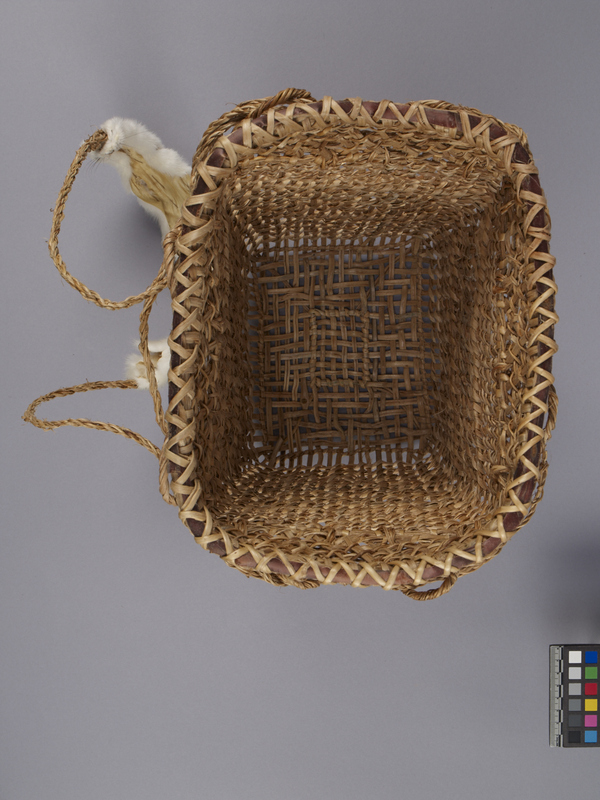 Cedar oil was applied to the basketry after completion. 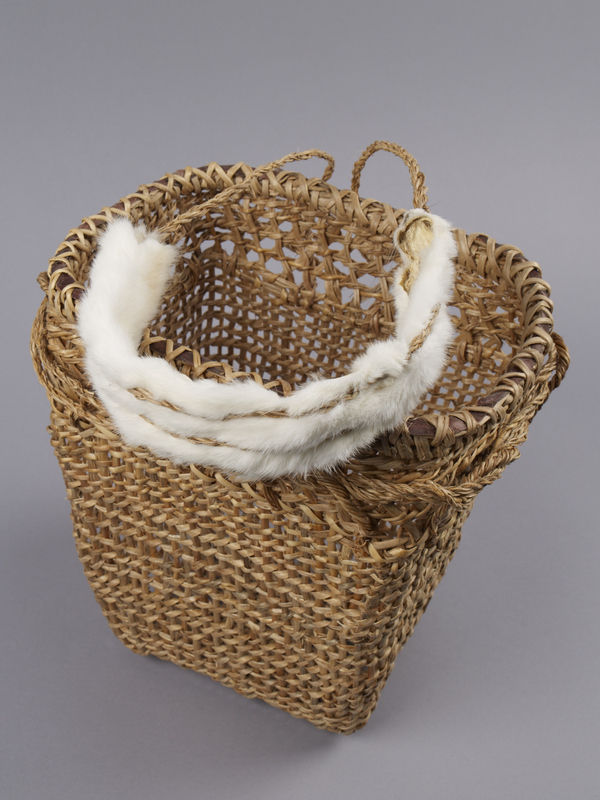 The basket is made to reflect the different Salish weaving technologies for a 'pack' basket from c. 4,500 years ago to c. 1,000 years ago. He collected the cedar roots, then cleaned, split and prepared the roots for weaving. 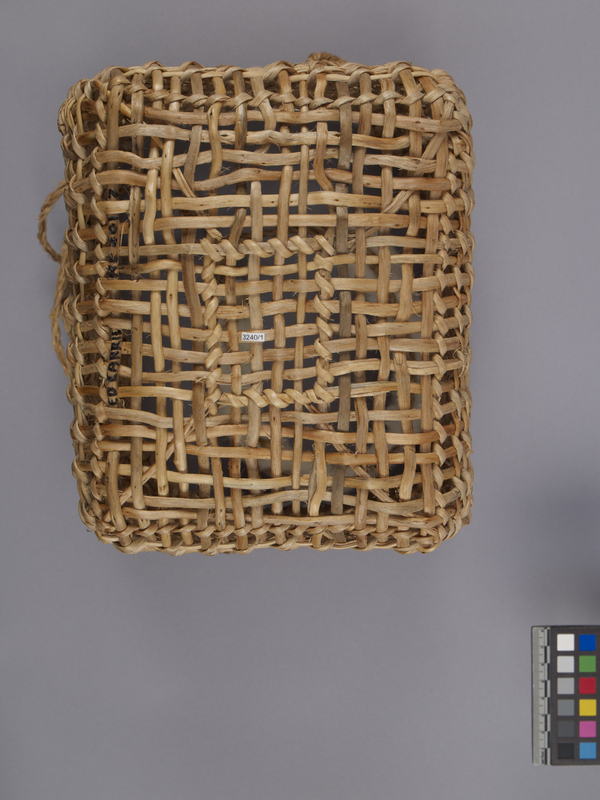 He wove the basket in four 'layers', so that the bottom layer shows methods from 4,500 years ago, the next layer 3,000 years ago, the next 2,000 years ago, and the top section 1,000 years ago.